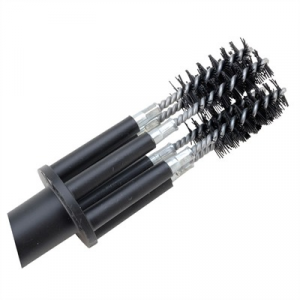 Replaceable, high-quality nylon brushes and bore mops on a durable handle provide all-at-once brushing and lubrication for most popular revolvers. Mfg: Allison Tool SPECS: Black, nylon plastic handle 4" (10cm) long, 9" (27cm) OAL. 8-32 tpi.